After a hectic sports weekend with swimming gala and kiddie triathlon, last Monday saw us up at 3am to leave at 4am to get to the airport for our three flights to Cape Town. Kilimanjaro to Nairobi, only a 45 minute flight and we saw amazing views of Mount Kilimanjaro rising above the clouds. It really is a very very big mountain. At Nairobi we boarded our flight at the stated time, ready for the next leg to Johannesburg. Unfortunately, they had a problem with the air traffic controllers, so we had to wait on the runway in a queue for an hour and a half. Luckily, the plane wasn't full so I could stretch out next to me and sleep for the period we were delayed. Unfortunately, that meant that we were an hour and a half late getting into Johannesburg, so instead of grabbing a quick lunch at the airport Spur Steakhouse, we had 20 minutes to run from the International Arrival terminal to the Domestic Arrival Terminal. Everybody said we wouldn't make it, but we did, arriving huffing and puffing, stinking with sweat, ready to board. Of course, there was no way that they could remove our luggage from Air Kenya and load it onto Comair in 20 minutes, so we arrived in Cape Town without our luggage. This is getting to be a bit of a habit for us. My Mom took us shopping for clothes until our luggage arrived, so that was a bonus. It did arrive the next day, we collected it and hired a car, a little KIA with enough boot space to hide a mouse and that's all. Wednesday I saw the breast specialist and he found a problem with my 'healthy' left breast. Two fine needle biopsies later, two mammograms, several ultrasounds and the results were still worringly inconclusive. Seven years ago almost to the day, I went through all of this with the right breast, ending up with a diagnosis of two kinds of cancer and a tramflap mastectomy. I'm not sure I can mentally and emotionally go through all of that again. I do feel like hitting well-meaning people who tell me I'm strong and can handle it, when they weren't there the first time and never witnessed what it was like, and never experienced it themselves. I've decided to wait until after Christmas for the core biopsy they want to do, where they remove some of the tissue. With friends visiting, I don't want to ruin Christmas. Shopping, sight-seeing, splashing in the waves. This is the life. Until the money runs out. Sunday we had one of those eaarly family Christmas lunches, the ones you do when you have step-siblings. Two families, you only can spend Christmas day with one of them. It is hard. Off to explore the wine route today! Hic! You know that little engine that goes, "I think I can, I think I can," when faced with a big hill? Well, the past few weeks I have felt just like that little engine felt when looking at that big hill. The end of a school semester is always a stressful time. So much going on, so many deadlines to meet. It's all a little crazy. To top it all I was busy with NaNoWriMo which was putting undue stress upon myself. With all the school deadlines, I was trying to write 50 000 words in the month of November, crazy isn't it? But I did it! Just. How I managed that I'll never know; I was forced to reach down deep into reserves I never knew I had. For the first time NaNoWriMo wasn't fun, writing wasn't fun; it was all just too stressful. Overlapping NaNoWriMo was report writing time. But I can happily say that today I printed out the last report, now it's all downhill from here. I feel like I made it to the top of the hill, desperately clinging onto my sanity and the view from the top is amazing! Hmmm. I have to think about this. I know that many people say that Dan Brown's writing jarrs their literary veins, and he makes every mistake authors are told to be careful of. But, he is able to write a page-turner that you can't put down, filled with action albeit some a little improbable, that you get so caught up in you don't care if he uses the word 'coffee' five times on a page and overplays the adverb hand. You don't care, you just want to find out what is going to happen next. If it's highly improbable, so what, it takes your mind off the stresses of your life as you read about the stresses the hero has to endure. Dan Brown offers pure escapism and Deception Point is exactly that. He doesn't care about using perfect metaphors, he doesn't want to be a literary guru. All he wants to do, is write bestsellers that make people forget about their own stinking lives. That makes him money, so why should he care that people criticise his writing style? Deception Point is fast-paced, the action flows off the page and you are quickly caught up in the story. So what if it reads like a Hollywood script, it works. I won't say this is one of the best books I've ever read, but it did occupy my weekend and take my mind off all the crap at work. Now that the Tanzanian elections are over, there is no need to keep the population happy by supplying regular power. The last ten days have been awful with daily power cuts, the longest one lasting 30 hours. Of course, this does put a dampener on your writing, when you are desparately trying to write 50 000 words in the month of November. My laptop, although less than a year old, has a battery life of 7 minutes. Caused, they say, from our frequent power surges. I now have a special adapter to control it, but it's too late, the damage has already been done to my battery. 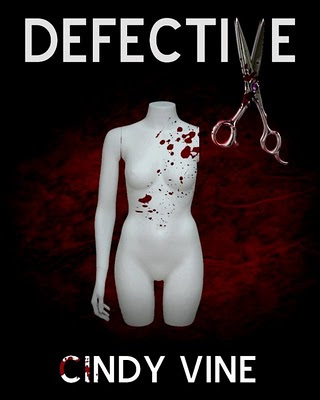 Despite the power problems, I have managed to get in a couple of hundred words here and there, and am now sitting on 30 000 words for Defective, my new book. This of course leaves me with having to do 2000 words a day to reach the magical 50 000 words on the 30th November. I know what you are thinking. Stop writing this blog and get back to writing while the power is on. Siobhan and I have been playing a lot of Scrabble by candlelight. (If I invested in a generator I wouldn't have this problem at all!) The best thing to come out of a power cut, is that I missed the rugby game when Scotland beat my beloved Springboks. I was only angry about missing it up until the time I found out we'd lost. Now I am ecstatically happy that I didn't watch our boys stumble and falter and probably knock the ball on. A friend at school gave me a book to read a while ago, and with our power cuts this week, and being unable to write, I finally picked the book up to read. I didn't really care about the content, it was the writing that moved me. Beautifully written prose, great streams of consciousness. I decided that when I grow up, I want to write like that. But then, as I sit in front of my fully-charged laptop, I realise that I can never write beautiful prose like that because it is not me, and I don't want to lose me to try and be like someone else. Pretty profound for a Sunday morning, eh? Made custard slices yesterday, so am dying to try them today and see what they taste like, but will have to dress myself and drive down to the supermarket down the road as I need icing sugar to complete my masterpiece. At the moment, I need to write at least two thousand words before I go anywhere, make good use of the power while it lasts. This has got to be one of the most beautifully-written books I've read in a long time. I'm not usually one for memoirs, but the story about two couples starting out as friends and then swapping partners could be the story of my childhood as that's what happened in my family. The resultant jealousy, feelings, rivalry still occur in our family 37 years later so it is definitely something I could identify with. For me this book was more the creation of an artist than a writer, as the descriptions felt like I was in a painting, and I was pulled in. All I can say is, wow magical writing. The actual story was sad, tragic even, and I feel for the author who obviously has deep issues and hasn't managed to move on. Reading the book, I was aware of so many good things, happy parts of life, that she missed out on as she was so caught up in her own misery; she was only able to see the negative in every situation and that is the true tragedy in my book. Even though her stepsister was portrayed as the 'dark and troubled' twin, I truly believe that she experienced happiness. She lived, she loved, she had fun. The author on the other hand existed, always wanting what wasn't there or what she couldn't have, she never allowed herself to appreciate or enjoy what she did have. There is a big difference between existing and living. Jenny lived, Jane existed. One has to wonder why we intentionally place stress upon ourselves. Why we have the urge to challenge and push ourselves when we could just be spending free moments sunning ourselves in the garden with a good book. NaNoWriMo happens every year in the month of November, when crazy people decide to write a novel of a minimum of 50 000 words. Yep, this is not a joke, thousands of people all over the world take up this challenge. Being a little bit crazy myself, I decided to take up the challenge again this year, as I had managed it successfully last year. this year I worked out a more detailed plot scheme so it would be easier to write. However, with my current work load it's not always possible to write the required amount of words each day. This is causing me stress. One of the things to suffer in the month of November, is my blog. Today I thought to hell with it, let me at least update my blog before I get back to writing to try and make today's target. The latest news, is that The Great Mountain to Mountain Safari is now available on Amazon. Now I put pressure on myself planning the next adventure to write about. June/July we're going to backpack through Egypt and the Middle East. This has been a dream of mine ever since I was a teenager. When I was about fifteen, all I wanted was to go and work and live on a kibbutz in Israel! Our flights for Cape Town in December are booked. We'll be leaving on the 13th December at some ungodly hour. With Kerri flying in from China it's going to be a great holiday! Part of the holiday we'll be staying at the family house on the Garden Route near Knysna. I'm counting the sleeps already, but I have to conquer NaNoWriMo first! Hopefully, can get a lot of writing done tonight and tomorrow morning as it's a public holiday. Siobhan has been very active of late, taking part in a netball tournament, a horse show and this past weekend - she climbed Little Meru which is 3801m high! One of the highlights for her, was one of our teachers who accompanied the students on the trip, who just so happened to be Australian (of course), who wore shorts, leggings and flip flops when everybody was wearing serious below-zero clothing! I was looking forward to this, not having read John Grisham for a while. Normally, I am caught up from page 1, but for some reason the story seemed to drag and it took me until three quarters of the way through to be gripped to read for greater lengths of time. The plot was a bit same-old, same-old, not fresh at all. The ending was very different though, in that there wasn't one. There was no closure, no sense of satisfaction, in fact I double-checked to see that the last few pages hadn't come loose and fallen out. The story just stopped ending so up in the air, it seemed unfinished. It wasn't a twist ending, it just stopped. It was almost as if his editor had given him an impossible deadline to meet. The first three-quarters was bordering on the tedious, the next bit was the usual gripping Grisham content you're come to expect, and then it stopped. I know I've said that a couple of times, but I'm just astounded it stopped when it did. Die-hard fans might still enjoy it, but there are so many other crime novelists with courtroom dramas around these days that have surpassed this quality of book. Yeah, I am a bit disappointed with this read. I'd like to welcome guest blogger, Joseph Sivak, to my blog. He's written a memoir about his mom's struggle with Alzheimers. Having worked in a dementia care unit, I can identify with the impact this terrible disease has on the family and friends of the person inflicted. Have a read of his blog entry and take a look at his book which is available on Amazon. If you know of someone who has a familky member with Alzheimers, then this might be the Christmas present to buy for them! I first started writing When Can I Go Home? back in 1989 when I was in my last year of medical school. That was about a year after my mother died from Alzheimer's disease. The book is a memoir about my mother's futile struggle with the disease. After she passed away I had a tremendous need and sometimes furious drive to record the journey in a timeless and permanent way. As a teenager, I had been my mother's primary caregiver for a few years , as the disease progressively robbed her of her cognitive abilities, personality and her very essence. At the time writing about it was very cathartic. The disease process is profoundly isolating for families and I wanted to scream out and tell the world. That element is there in so many Alzheimer's memoirs. Unfortunately the issue of isolation has not improved in our society and much as we like to pretend it has in the last thirty years since my mother was diagnosed. At that time most people had not heard of Alzheimer's disease and of course now it is a household term, but as a society we are still ignorant and terrified about it till it affects our own family. The isolation is still there. The book is a bit unusual or even paradoxical from an Alzheimer's memoir point of view in that It presents a dual perspective. First is a family caregiver specifically a teenager son, which is a bit unusual and at times even bizarre, since that is not the prototypical demographic of a caregiver. The other perspective is a clinical one from a physician. I have treated thousands of patients and their families affected by many psychiatric and neurological problems including many Alzheimer's victims. The clinical information is broken down and translated for the reader. So you essentially have these two very different points of view sort of flip-flopping but sort of coming into what I hope is a harmonious symmetry. The third aspect of the book is an underlying and ongoing commentary on all the relevant sociological and psychological issues this book interfaces with. Such issues as the state of health care delivery, being a doctor, and the aging population are addressed and sometimes not in a very convenient way for those that need to hold onto pretense and prejudice for security. For example as a society we really don't treat the aging population with the honor and dignity they deserve. We are pretty much obsessed with youth and appearance. We also have a lot of bias toward the medical profession if not at times completely vilifying the field. So in that sense speaking candidly about things albeit my opinion yet based on experience may open the readers eyes, on some issue conversely it may propel some to try to look the other way even more. It's not always politically correct, but it is a memoir and it is honest. It is sort of visceral, some people will cry some will laugh some will get more angry, it makes you feel first, then think. The manuscript was hard to finish, it lay dormant for some fifteen years, I never had an ending. Even after the death of an Alzheimer's victim, there is never an ending for the five million families affected by the disease. something hit me, after all these years. We are all universally humanly connected by this disease process, and I had the clarity to finish this book. I love writing, but most of my energy and creativity is spent in my day job. I am currently working on a novel about psychiatric residency. Fiction is obviously a much different prospect than a memoir but it taps a different part of your brain and soul to create something like this compared to a memoir. My mate Cris Advincula all the way over in the Philippines has done an awesome job designing three potential covers for my novel-in-progress, Defective. Unfortunately or fortunately, they are all so good I can't choose one. Can you look at them and let me know which one is the most eye-catching and will have you reaching for the book on the shelf. Thanks for your help on this very difficult task! This autobiography by Judy Westwater was inspirational. She suffered the worst kind of abuse imaginable, struggled for a good part of her life but never gave up. She looked for the positives, made many plans and rose up out of the dung pile time and time again. It was fantastic that she eventually did get to experience love and yet even that was snatched from her. Despite her many trials and struggles, when Judy got some money she didn't think of herself or bettering her life, but immediately thought about what she could do with the money to help others. Judy Westwater is an amazing woman and her story is definitely worth reading. It is interesting that she had a pattern of bad relationships in her life, and as I said in my book Fear, Phobias and Frozen Feet, the only way to break that cycle of bad relationships is to change you and find yourself first. That's exactly what Judy did. Occasionally, life begins to feel as if you're stuck on an ever-faster spinning merry-go-round, and you cling fearfully onto the thin leather reigns of your bright red circus horse to avoid being flung off into the back of beyond somewhere. My life was starting to feel like that, so much to do, so little time and the weight of exhaustion and fatigue was dragging me down. Throw in several bouts of chronic hayfever and seemingly endless meetings and you'll start to get the picture. All of that is normal end-of-term sentiments for any teacher anywhere in the world. It's that that makes us grimace and smile through gritted teeth when people refer to teaching as a half-day job with great holidays. Teachers need the holidays the same way that parents need term-time. We all want a break from the little blighters! This past October break, Siobhan and I headed to Nairobi in Kenya. We managed to get doctor's appointments with a top endocrinologist there, had a mammogram and then attended a week long conference in Nairobi. Nairobi is great! We had been warned that it can be quite dangerous and should rather be called Nairobbery, but I have to say, we felt quite safe there. In the end I didn't drive there but went in the shuttle bus which was quite pleasant. My car was only operating on 3 cylinders, so had to have an engine overhaul. It was probably a good thing I didn't drive there, as the traffic in Nairobi is unbelievable and I wouldn't have known where to find the fantastic shopping malls! We are totally in love with Village Market and the Java Houses at some of the malls. We spent three days in different malls, watched a movie each day in the cinema and had a ball. Of course, it goes without saying that we spent way too much money! There are so many hospitals in Nairobi and the ones we visited were top class. I never got the results or mammogram film though, but the endocrinologist gave me some new thyroid meds and my tiredness and exhaustion has evaporated and I feel like I am that super-charged pink bunny in the duracell adverts. My feet and ankles swelled up during the conference, the week after I saw the doctor, with quite a severe oedema, which I imagine is from all the sitting I did. The 8 hour bus ride back to Moshi exasperated it, and they haven't yet gone back to normal. I feel like I am walking around with huge cushions on the end of my leg-bones. I should put my feet up, but have so much writing to do. On top of that, I seem to have picked up a bladder infection, so while I feel like a bundle of energy, I actually feel quite yucky with my swollen feet and burning bladder. 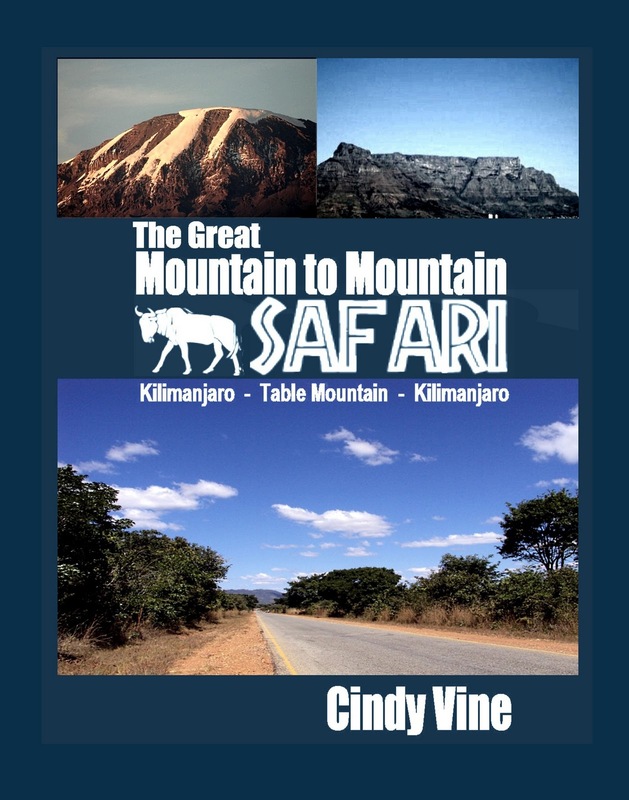 Talking about writing, I've finally completed The Great Mountain to Mountain Safari and it's gone to the publisher and they posted me the proof copy today. I'm now all set for NaNoWriMo which is National Novel Writing Month which happens every November each year. The goal is to write 50 000 words in a month. During the only boring workshop at the conference, I worked out my character sketches, setting and plot outline for the novel I plan to write during November. So, I guess you can say I used my time wisely and am rearing to go! 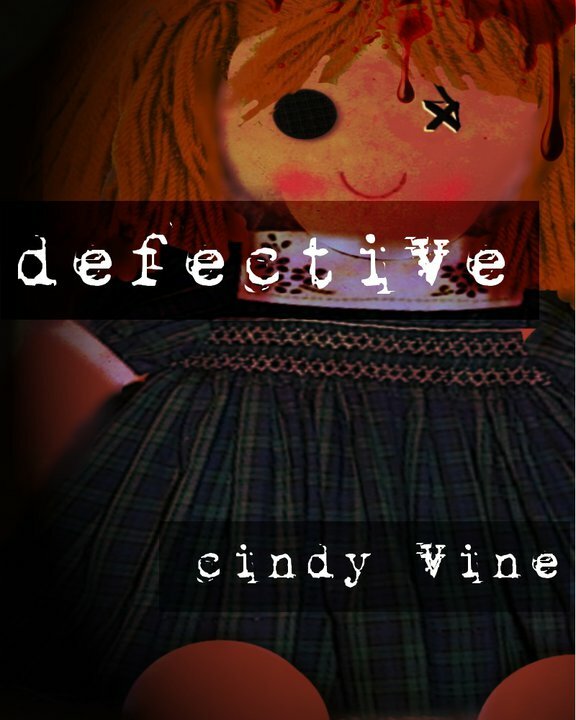 The new novel is going to be called Defective, and I think the plot-line is a goodie! I can't wait for the first of November so I can start writing! Have a great weekend! There's a wedding across the road from me with a brass band, so I guess I won't be getting much sleep tonight! Hopefully, the bride and groom will want to slip away quite early for their wedding night! Only 9.30pm, still an hour before I fetch Siobhan from a disco at school. I am a Jodi Picoult fan, and it hurts me to say that this book just didn't do it for me. It was bland. Rather like when you go to a restaurant everybody raves about, and expecting an exotic meal you get a beef stew you could have made at home. There were no plot twists, no unexpected twist at the end. No spice and tangy sauce. It was palatable and filled the belly, and I was happy when I finished it. The story was predictable, it was obvious what was going to happen. There wasn't much depth to the story or the characters. Altogether a bit blah, but Jodi I won't give up on you just yet! Good day from a conference in Nairobi in Kenya! My apologies to Alysa, I should have hosted her guest post on the 13th October, but lack of internet access the last few days while staying in Nairobi has made me a few days llate. Alysa, my humblest apologies! I'd like to give Alysa a great warm welcome to my blog! She's written an autobiographical novel which is a very popular genre of late. Here's Alysa to tell you more! Hi Cindy, thanks for having me on your blog! I just follow up on your Stieg Larssons The girl who…theme because I don’t want to be a spoilsport. I just baptized the next excerpt of my book The Sorcerer’s Dream The girl who got acquainted with sorceresses and could fly like an eagle. This story takes place in the beginning of my apprenticeship with shaman Vidar in the art of mastering lucid dreaming. In the dream world everything is possible. Under guidance of sorcerer Running Deer I made the impossible possible and even managed to transform into an elf. “I am about to depart, when out of the corner of my eye, my attention is drawn toward a group of women. Hanging around looking bored, it seems like they have been waiting for the bus for ages. I dig my heels in the ground. “Whoa, hold on a minute.” I stop the eagle who was about to take me to the wind direction, pointed at by the woman in the street. Tell me if I am wrong, but I believe them to be the sorceresses who dragged me along in my dreaming the other day. They exude the same mysterious atmosphere, somewhere between mysticism and light-footedness. I have to concentrate to see how many there are. I count one-two-three-four-five and watch them one by one. Two are not as exotic as in my dreaming, but, it was dark. One of them is tall and slender, her grey-blond hair is cut in an elegant bob and she is fashionably dressed. She has a natural elegance and she emanates life-wisdom without being pedantic. She looks like the eldest of the lot and the wisest, at least, that is the impression she makes. The other woman has beautiful long red curly hair. She is quite sturdy and makes a social and friendly impression with her rosy cheeks, a long pleated skirt and thatched basket on her arm. Immediately, she puts me at ease. The three dark women mirror the image of each other, they must be sisters. All three of them are dressed in black, and with their dark hair tied back, their caramel colored skin and with big dark brown eyes they are true exotics. They stand, or rather they hang between the other two, as though they are about to fall asleep any minute. The one in the middle is not half as slender as the other two, but all three seem smaller than the other two women. They stare at me silently without making me uncomfortable. I would love to start a conversation, but I have other plans for now and promise to come back later to get better acquainted. I fly along with the eagle and from the air I see the red path down below, bending like a thin trail through the rocky west and I dive downward after the eagle. Like the first time, we land at the start of the trail and after a short walk we fly over the green palm tops in the direction of the ocean. Further to the left there are several bays interrupted by rocks and stones. I circle, exploring over the west’s shelter. It is the first bay seen from the rocks, toward the right the jungle starts narrowing into a point. I descend at the sea, make myself comfortable and take in the light orange horizon from left to right and back. The tiger walks toward me, purrs and pushes his head against my shoulder. I stroke his head softly, get up and we walk to the wooden villa together. 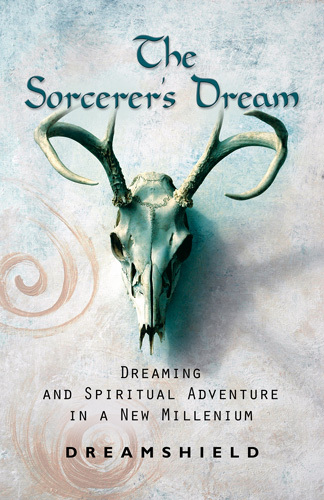 I am happy to let you know that there is a contest going on right now on my site, offering a chance to win a copy of the Sorcerer’s Dream. I invite you to type in 'Book Giveaway' in the question area and you will be entered in the drawing on Oct 30 (2010). This autobiographical adventure is about a journalist who meets the enigmatic sorcerer, Running Deer, and her initiation into the sorcerer's world and mastering conscious dreaming. This book, that follows in the traditions of Carlos Castaneda and others, takes the reader through the magic realms of the unknown and gives a new approach to the traditional training of women sorcerers. It takes place not in some fantasy world, but in a contemporary society, and addresses the things we face on a daily basis in our everyday lives. Bio: Alysa Braceau, Dreamshield lives in the Netherlands (Europe), she has a 6-year old daughter. She studied social legal studies and the last ten years she is a (freelance) journalist and publisher. Besides that she has a healing practice and gives workshops about the Art of Dreaming. Dreamshield is author of The Sorcerer’s Dream. The theme of the passed years have been the sorcerers tradition and mastering conscious (lucid) dreaming. She carefully recorded her personal experiences which has finally led to this first book. After spending the last three weekends consuming and devouring Stieg Larsson's Millenium series, I think the title of this post could easily be the title of his fourth book which is on his laptop, the only thing inherited by his partner of 30 years. How sad is that? Stieg Larsson ruined my social life three weekends in a row. He ruined my sleep as I read until 2am to finish the last book in the series. My updating of my blog was confined to book reviews of his books I read. I was invited to a birthday party that had a pig cooking on a spit, and I kept saying, "One more page, one more page," and when next I looked at the time it was 2am! Yeah, you may say it, I am pathetic and obsessive, whatever! Okay I admit it, wherever you are, Stieg Larsson I am your number one fan. 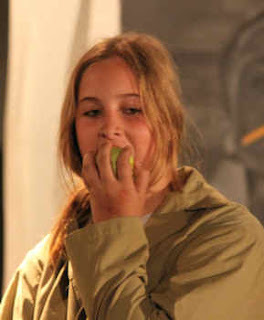 But, back to The Girl with a face like an over-ripe tomato. That happens to be me. Yesterday I travelled to Arusha to chaperone our school's athletics team at a meet. Thinking I'd be sitting under the trees watching kids and chatting to parents, I neglected to take along sun cream. Unfortunately, they were short staffed and a little chaotic, and myself and one of the parents got roped into timekeeping in the full sun with NO sunscreen. The stopwatches were dinky brightly coloured toys made in China and probably bought from Toys R Us. Needless to say, they didn't work properly, but that's a whole other story. After 4 hours in direct African sun, remembering we are sort of on the equator here, my face had turned an enviable shade of bright red. You could have chopped off my head and used it as a stop sign. Someone said, "Oh I was going around passing out sunblock but thought you didn't need it because you were African." Listen lady, Africans also burn, especially white Africans. So I went home with my face stinging and my nose feeling like the skin was going to split any minute. This morning I woke up and my face was swollen and puffy. I have been sunburnt many times before, but I've never woken up with a swollen puffy face. Under my eyes were saggy bags that looked as if I could keep my loose change in them. I was aesthetically, a disaster. On top of that, I could hardly see out of my eyes. The worst part, is that I have finished the free samples of moisturising lotion I collected from hotels we stayed at on our recent Mountain to Mountain Safari. I have a nasty feeling I am going to peel and when my new skin comes out I'm going to look like a wrinkled old prune. The worst is, is that the redness of my face really brings out the greyness of my hair. I've finished the first draft of The Great Mountain to Mountain Safari, and am now working on writing the random factoids that'll appear throughout the book and getting the formatting right. The maps are still giving me grey hairs. I wish |I knew a cartographer who could just draw them for me. It's all about time, and that is something which I don't have enough of. Somebody dropped off 10 kg of pork, thinking I'd turn it into sausages. I have no time to make sausages, I really want to get this book finished, so have decided to smoke it. I can only hope it turns out okay. Talking about baking and cooking, because of the vast amounts of spinach in my garden, I've spent each weekend, after I'd finished with Stieg Larsson, trying out new recipes with spinach. I made canelloni, spinach quiche and last weekend, spinach and cheese pastries. Today I'm going to make spinach and feta samoosas and spinach and cheese muffins. Just call me the 'domesticated expat writer teacher.' I just need a little apron now to really look the part. Mind you, this red face will detract from my culinary skills. Hopefully, this last week of school before the holiday won't be as hectic as the two preceding ones. And, I have no more Stieg larsson to distract me from my writing tasks and social life. The last in the series and what a rollercoaster ride it was for Kalle Blomkvist and Lisbeth Salander. The reader was hooked from the beginning, wondering how on earth she'd extricate herself from the huge mess. Although gripping and a real page-turner, on quiet reflection after finishing the book, I do have to say there are a few flaws, little niggles that I can't move past. Things that are worrying me. Maybe they would have been addressed in a fourth volume which sadly will never be written. Camilla the twin sister never features, never appears and even at the end we are told Salander has no clue where she was. I have to ask, why was she even included in the story if she played no part whatsoever? Blomkvist texts Salander and tells her she made an error and that's how he found out she'd stolen all that money. When she asks how she slipped up, he tells her that if she meets him for coffee, he'll tell her. They never meet for coffee, he never tells her, so I'm left hanging, how did she slip up? How did Blomkvist find out? There was also a part where the billions of kronor she had, at the end suddenly turned into billions of US$. Is that the same thing? Are Swedish kronor equivalent to US$? I also didn't like how she dismissed her inheritance from Zalachenko. I understand she has her own fortune and the money from him is negligable, but it would have left a better feeling, a more warm fuzzy one, if she donated that money to open a centre for abused women and children or something. It would have rounded off the story better. Otherwise, another cracking good read that had me turning pages until 2am. Now I've finished the series, I can get on with my life and my own writing again! Don't you love a website where you can list your books as giveaways? The Case of Billy B has had some awesome reviews on both Amazon.com and Goodreads.com. Some change of season madness, or it could be temporary insanity caused by hayfever, but I've decided to put three copies of The Case of Billy B up for grabs. This was even better than The Girl with the dragon tattoo! Whereas that took me a week to read, this only took a weekend. Granted, now my eyes feel like the scratchpatch at the local semi-precious stone shop. probably because I couldn't put the book down to go and fetch my glasses. The plot was complex, well-thought out and constructed. It gripped you completely. And the ending???? What was that? Now I just have to get the third one in the trilogy and find out what happens! Another weekend stuffed because of Mr Sieg Larsson! I had heard all the hype about this book but somehow or other, had never got round to reading it. Then my Dad out of the blue recommended it, and I thought I have to read it. This fast-paced thriller is a book everybody should read. It's well-written and is so gripping, you'll be like me and read the last 300 pages in one go. The only problem with the book, is that you'll find it hard to do you work and other chores, you'll just want to keep on reading. The plot is complex but well-woven. The heroine is unlike any other heroine you've ever encountered. It's just brilliant. Last Friday when I came home from school, I gasped with shock the minute I stepped over the threshold into my sitting room. At the far end was my bookshelf. The lovely blue and gold Thai silk runner had been replaced with a psychadelic pink fake fur piece of fabric. A piece of fabric that was kept in a box upstairs with other pieces of fake fur - a leftover from my teddy bear making days. My housekeeper had obviously decided to give the Thai silk runner a wash, and had turned her nose up at the other really nice tasteful runners I have, and opted for the psychadelic pink fake fur. Now, while I appreciate the bright and colourful, the psychadelic pink fur was well...nauseating. I almost felt like I needed to wear sunglasses in the house. To make matters worse, she arranged my wooden map of Africa at a tilt on its side and she fetched the toy purple poodle from my daughter's bedroom and placed it as an ornament on the psychadelic fur. It was all a little much, but she obviously thought it was attractive. I collapsed in the chair and stared mesmerised at the bookshelf. Could I be bothered to change it? The next morning I found myself sitting in the chair again, contemplating my pink fur runner. Siobhan came tripping down the stairs, her eyes full of sleep. "You still looking at that pink thing? If you don't like it, why don't you change it?" And she flopped down on the couch next to her jeans she'd climbed out of the night before, the pile of dvds scattered everywhere, and her smelly dirty socks. "You know," I muttered sadly, "I pray to God nobody comes to visit us. I have a psychadelic pink fake fur runner, a shocking pink knee rug Grace has covered the coffee table with; and my lovely bedspread from India has been put on the dining room table as a table cloth! Then to make matters worse, look at your crap lying all over the floor." I shook my head, giving up. There was no point in arguing with her. The day before she'd told me it was my fault she was untidy because I employed a housekeeper. Teenagers. "Get real Mom, who comes to visit?" she sneered nastily. "If you don't like it, stop whining and change it. Do something about it." She sashayed out the sitting room and went back upstairs to get ready to go out. Of course, I had just returned home after dropping her off at a party when I had an unexpected guest. Luckily, earlier when Siobhan was in the shower I'd taken her dirty plates to the kitchen and picked up the dvds and thrown away her dirty tissues. But, I'd left the dirty smelly socks where she'd left them under the couch, and hadn't yet gotten around to changing the psychadelic fur. My lack of motivation to get up the energy to change my decor resulted in me having to apologise profusely for the state of my sitting room. It was embarrassing. Today, one week later, I get home from school and the psychadelic pink fake fur fabric is still on my bookshelf as a runner. A week has gone by and I still haven't changed it. What signals am I sending out? My housekeeper obviously assumes I'm happy with her interior decorating skill; my daughter thinks that I don't mind living in a bomb shelter. This got me thinking. When we are unhappy with a situation, what messages do we give other people when we make no effort to change it because we can't be bothered. Inside, I am very bothered, it's driving me mad, but change takes energy, it takes effort. Many times in life, we just complain and whinge about situations we don't like. We have the power to change it, but we can't be bothered. It's too much effort. So, we learn to live with it or around it. We accept things we shouldn't accept. We lower our standards. And as we get more and more used to a bad situation, the less likely we'll make the effort to change it. Mahatma Gandhi said, "Be the change you want to see in the world." Nobody but you can change the situation which is bothering you. You have to get up, find the energy and make that change. Throw away the psychadelic pink fur runner. Hide it where the housekeeper can never find it again. Make that change, don't turn a blind eye and just put up with it. Do something about it. Besides thinking about how we go about changing unpleasant things, which I can blame entirely on my housekeeper and the psychadelic pink fake fur, I've also been thinking a bit about why we say sorry and how many times we really mean it. So I wrote a hub about it which you can check out here http://hubpages.com/hub/Why-do-we-say-sorry. Long weekend here this weekend, and my goal is to write, write, write. I want to try and finish my up trip part of The Great Mountain to Mountain Safari. Have a great weekend and remember, make those changes in your life which are making you unhappy. Everyone deserves to be happy. As a Kellerman fan, I was a little disappointed with Blindman's Bluff. It wasn't as gripping as some of her previous work, in fact it took me up until page 329 to get into it. There were too many characters and the plot was quite predictable. I guessed who El Patron was early on in the novel. The blindman in the story was more a distraction than anything else, and I felt that his sole role was to give the book it's title. Mind you, he wasn't bluffing so not sure how the title fits. I particularly didn't enjoy the last chapter where all the ends were tied together neatly in a forced unnatural kind of way. Some of her other books had me sitting up all night to finish them, and the fact it took me nearly two and a half weeks to finish this one, says a lot. If you haven't read her earlier work, you'll probably enjoy this. But there are so many better crime thrillers around these days, and this one doesn't stand out. It gives me great pleasure to introduce a brilliant motivational speaker, Kim Upstone, as a guest blogger on my blog. Kim is one of 9 children born to a business entrepreneur father (still living) and a housewife (deceased). She has been married 32 years to her husband, Doug, who is a sports writer. She has I has two children, Melissa who lives in Hawaii, and Brent who is married and lives in Tempe, AZ and his wife. They are expecting their first child, Grace, in August. Kim and her husband care for her sister, Debbie (who is 5 years older than Kim). She has special needs and they have Frank, their 4 year old cocker spaniel! They moved to Arizona seven years ago to get away from the cold. 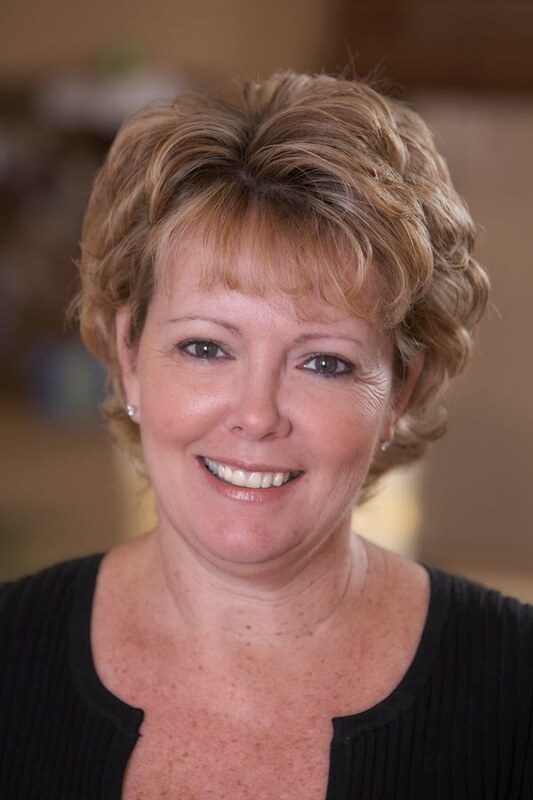 Kim Upstone is the owner of A New Day A New Vision which is not only the name of her company, but her life philosophy. Kim believes that each new day we can create a new vision for ourselves, home and environment. As an author, motivational speaker and intuitive designer she resides with her family in Scottsdale, Arizona. With a background in interior design and interest into the effects of environment upon individuals, accreditation in staging and feng shui soon followed. In addition, she has studied neuro- architecture. Her first book Step by Step To Sold and Feng Shui to Sell are reflections of those principals. Both books were written as guide for home sellers looking to prepare their home by combining Feng Shui and Staging techniques. Feng Shui for Special Needs, her second book, is given out as a free ebook for people with life and learning challenges. Based on her own personal experience, the books help those who work with special needs children and adults to make enhancements to their environments all in an effort to allow them to flourish. 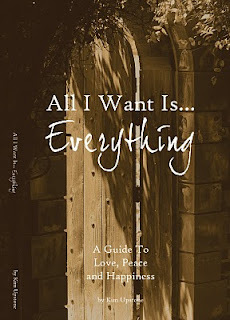 Her new book All I Want Is Everything released in December 2009 is drawn from her life’s journey of searching how to find her everything and learning to dance in the storm. 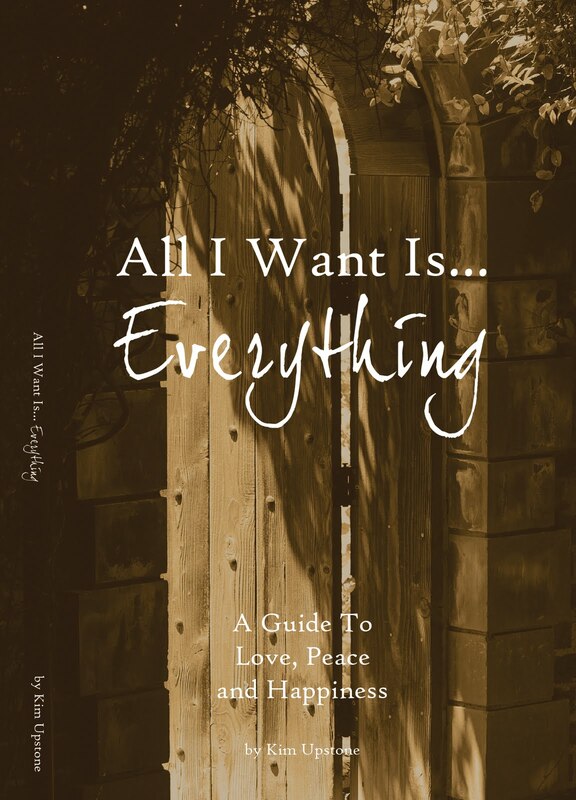 All I Want Is Everything is a guide to help women reclaim happiness and peace in the search for their everything. What do you want from your life? Do you want to discover for yourself what your everything is and then be able to live each day of your life with happiness and joy no matter what the circumstances. Do you want to have each day a realization of the gift you have been given to be here. Do you want to creating for yourself the vision of who you want to be? I wanted everything too and from the outside, it appeared that I had everything, a loving husband and two beautiful healthy children and strong faith. I have great house and all the things that go along with it. But even with all of those things I still felt something was missing. There was piece to the puzzle I needed to find. If I could locate that missing part I would then be complete and happy. My search lead me to look in many different directions, mostly outside of myself for the answers. It wasn’t until out of desperation I asked for guidance and received it that I learned all the answers were all within me waiting to be discovered. All I Want Is Everything, A Guide to Love, Peace and Happiness is my journey to find my everything. What I found was so much more than I could have ever hoped for. They were the questions that lead me to the answers only I could answer. What I have created is a guide for your journey. Questions for you to answer that will lead you to your everything. You too can discover the secrets hidden safely, waiting inside for you to choose to bring them into the light. Kim's book is also for purchase on her website. Kim will give a donation for each book purchased to Global Orphans Project. I was excited from the beginning when reading Kim Upstone’s “All I Want is Everything” when she took my favorite quote and expanded upon it. No one can keep your light bright but you, and although a candle loses nothing by lighting another candle, you cannot keep another candle burning brightly by dimming yours. And, I was not disappointed as I continued on reading. Ms Upstone hit close to home with her poignant examples of the ways in which we set ourselves up for failure and unhappiness, keeping our spirits empty by the ways in which we scramble to fill them. She is right when she says that disappointment and unhappiness become the norm. I see it everywhere in many people. I love when these books give you exercises, as I feel like they are involving me in my healing process – a doing instead of telling – a practical application of the lessons. And, Ms. Upstone’s book is like chemistry for the real (social) world. I was so excited to see different exercises instead of the same old tried and true ones. In fact, the first exercise alone, even though I struggled to do it, led me to a profound discovery in my own personal life. She took something I have always known, have read over and over in various books and yet was still unable to do, and she put it into words that I could finally understand. It made sense, and is going to become my new mantra! Now, shocking me, rather than just giving me a bunch of fancy worded vague advice ( I have read a lot of self-help books), she gave me not only practical advice of what to consider, and what not to consider…but also practical applications like suggestions of how to respond. Amazing. Actual words with which to respond so that those I encounter cannot steal my spirit, my light. I have written it down and I am going to carry it around with me until I learn to react that way instinctively! I mean so many times I have read to not surround yourself with people who are dark spirits, and Ms. Upstone does say this to, but also gives us ways to deal with them when we have to. It is really impossible to avoid them completely, I mean what about all the people you encounter just going to school events for your kids? Well, now all this was written just after reading the first chapter! To my delight, Ms. Upstone kept up this pace throughout the book. In every self-help book there are things that touch each one if us depending on where we are at in our lives. And, this one touched me where I am out right now. Maybe not every word of it, but it was about the best I have read. I am putting her up there with my favorite, Dr. Wayne W. Dyer in effecting my life over-all. I have pages in my notebook of notes, exercise and now practical advice. Thanks, Kim Upstone! was excited from the beginning when reading Kim Upstone’s “All I Want is Everything” when she took my favorite quote and expanded upon it. The days already seem to be flying past faster and faster. I guess when you are busy, the minutes go by so quickly they almost pick up a speed wobble. When I was in Cape Town recently, I was eating a chocolate bar, one of those nice ones with toffee and biscuit in the centre, and my filling came out. I thought I'd get it seen to when I returned to Tanzania, dentists being much cheaper here. Every week I say to myself, this week I'll make an appointment with the dentist, but that never seems to happen. The time just flies, the week is over, and I still haven't made a dentist appointment. Yesterday, while eating some chocolate I suffered from serious toothache. The moral is, don't eat chocolate until you've made the time to fix the hole in your tooth. But life is a bit like that. We make time for hanging out with friends, watching our team win a rugby match, but we don't make the time for essential things like dentist appointments. Learning to prioritise is a skill, and I can't wait until I learn it. However, as I'm getting old now I'm beginning to realise that it might be one skill I might never learn. Time is running out. This weekend though, I did make the time to write two new hubs and make a video of Part One of The Great Mountain to Mountain Safari - the down trip. 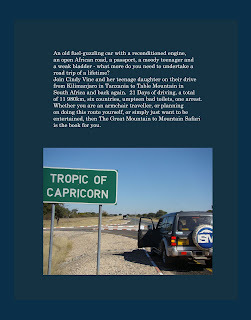 The hubs are completely different from each other - one is about a Thyroidectomy and Weight Gain and the other is Part One of my Mountain to Mountain Safari, with excerpts from the book I'm currently working on. So, I guess I should feel as if I accomplished something, worked on Sunday, went to TWO BBQ's on Saturday, but still no dentist. I seriously must make the time to make that appointment. It's that or no more chocolate. Sometimes we just have to take time out of our busy lives and relax a little, socialise with good friends. I often find it difficult to go out, I think I'm a closet agoraphobic, but when I'm home and settled into doing something, I find it really hard to stop what I'm doing and go out. Maybe, it's something to do with my shoes. When I take my shoes off the minute I walk through my door, I'm loathe to put them back on again except when I have to leave for work in the morning. So, I blame my agoraphobia on my shoes. Anyway, yesterday evening, after standing making sausages for about four hours, I ventured out to a friend's BBQ. I had to make a conscious effort to go out, but I'm pleased I did. Because once I was there, I enjoyed the company of my friends. Alistair and his wife Kate put on a splendid BBQ, I took them some of my freshly made sausages, there was heaps of good bottles of South african wine, great conversation. I had a ball. I guess, it's all about leaving your comfort zone. Many of us are too scared to leave our comfort zone and try something different. Once we remove our shoes and settle down on the sofa, that is it for us. But once we make the effort, put on our shoes and leave that zone, we often have a pleasant surprise and are shocked with ourselves that we even contemplated not leaving the house. So my message to all of you out there, is make a conscious effort to do something out of the ordinary this week. Take the plunge, leave your comfort zone. Do something different. Otherwise, you might regret missing out on a good evening with good wine, good food and good friends! Giveaway ends August 31, 2010. It’s hard to believe that it was only just over a fortnight ago that we were still travelling back from Cape Town! The past two weeks have flown by, with there hardly being time to catch a breath. It seems like nothing can top our arrest in Zimbabwe, but there always has to be one kind of drama or other, or just some small thing to liven up a day. In Malawi my ATM card packed up, leaving us stranded without money, but luckily with help from some kind folks we made our way back home. We stayed at a sugar plantation in Dwangwa in Malawi and then drove to Nkatha Bay where we'd initially wanted to stay. What an amazing place right on Lake Malawi! Absolutely magical and I think we'll return to holiday on the lake during the Easter holidays. We had a rest day in Mbeya holed up in a hotel while we waited for the school to send money with the cellphone. Amazing how they do that. You get a text message saying go to Vodacom to collect your cash. It's a big problem when the magnetic strip on your ATM card gives up the ghost. The money from the school should have been enough to get home, but by the time I had travelled 20km from Mbeya, I had already picked up 2 spot speeding fines, so we crawled the rest of the way knowing we couldn't afford to pay out more money to corrupt policemen. But still, we were about 200km from Moshi when the car hit empty. Amazingly enough, we managed to drive 100km with my fuel light on. I had to leave my camera as security at Same, 100km from Moshi so that I could get enough petrol to get home, but that just makes life a lot fuller, and our adventures more interesting. Once again we travelled through Mikumi National Park, and this time had to stop while a lion crossed the road. Of course I couldn't get the camera aimed in time and with Siobhan swearing in my ear as the lion was on my side of the road, tracked it through the grass while snapping away merrily. Some other travellers stopped and started shouting at the lion so that it would look at them while they hang out of the window with their camera phone. Crazy people! One has to look on these little adventures as good material for my book. Driving the 100km to Same a couple of days later to pay our debt and retrieve my camera was a bit of a pain as just between you and me, I was a little tired of driving! The whole trip from Kilimanjaro to Table Mountain and back again was a whopping 11980km! But I have to say, I have caught the bug and I want to do more driving trips in the future! I quite fancy driving to Lake Victoria and the southern coast of Tanzania. There are some interesting ruins on the Mafia islands I’d like to see. I didn’t have much time to reflect on the trip before I was back into the swing of things at school, meeting the new teachers, helping with their orientation and getting everything sorted for the first week of school. So far I am absolutely loving my new role in management, even though one of the kids asked me, “Miss Cindy, have you dyed your hair grey?” I ask you, would anybody intentionally do that? I decided over the holiday to stop fighting the grey hairs that sporadically appear, as when you colour your hair they quickly reappear at the temples making me look like a poor imitation of a Siberian hamster. But now, my daughter has instructed me to colour my hair as the salt and pepper grey look ‘doesn’t suit’ me. Of course, easier said than done as my dark blonde dye is not so easily available in Moshi! I could go red I guess. Our English teacher let his daughters colour his grey hair red and it came out shocking pink! Poor blighter even let them colour his beard. Luckily for him, it was virtually all washed out in time for the start of school on Monday. Sometimes, you meet interesting people who you immediately know you are going to use as characters in a book. I met one like that, a lawyer whom I had to see to stamp his commissioner of oaths stamp on a document I have to send off. A small man, probably pushing eighty, with a full head of snow white hair, and a booming voice that seemed to come from a far more imposing figure than him. I was solemnly ushered into his office, a dead leopard’s head mounted on the wall behind the chair I was shown to, and was amazed to see him reclining back in a large black leather swivel chair that seemed to swallow his tiny frame up. What was more amazing to me, was that his waistband button and zipper was undone and he didn’t seem concerned about that at all. He looked up at me and smiled, and kept his sunglasses on even though he was inside his office. All very bizarre. He wouldn’t look at the form he had to certify until he’d heard about where I’d come from and my trip down to Cape Town. Then his phone rang, he politely asked my forgiveness while he took the call, and I listened to his booming voice alternating between Swahili and a delightful very upper class English accent when he repeated interesting parts of the conversation in English, obviously for my benefit. So I heard about corrupt politicians who were little more than thieves who were trying to set up a casino with prostitutes flown in, in the central part of Tanzania in a game park somewhere. The way his lips moved as he enunciated his words was quite fascinating, like a cartoon character. In fact, he was like a real life cartoon. I eventually managed to escape from his office with the form duly stamped, about an hour and a half later. We arrived back home from our trip to find that termites had taken over in Siobhan’s room. Although they were living in the room, they were starting to eat through her ceiling and holes were beginning to form. In fact, if you banged on her wall you could hear them scuttling, and if you stood still you could hear the steady sound of them chomping. It seemed like it would be only a few days before her ceiling collapsed on her. Of course, being terrified of anything with more than four legs, Siobhan moved herself and all her possessions into my bedroom. So began my nights of interrupted sleep, as I desperately clung to the edge of the bed while she spread out like a starfish, and grabbed all my blankets, leaving me shivering in the cold. It’s been quite cold at night since we got back, and on overcast days it’s been decidedly chilly. We’re glad we brought our winter stuff back with us. Anyway, they fumigated her room and roof, removed part of the ceiling, and as is here took ten days to get round to putting in new ceiling panels. They still haven’t painted, so madam is still in my bedroom. As happens here, simple jobs become more complicated. We were unable to shower, with only one continuous drip coming from the left side of the shower head. Strangely enough I never connected the lack of water in the shower to termites in the ceiling. One puts in the maintenance request and then you have to wait until they find the time. 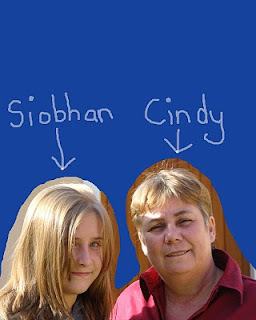 By that time, Siobhan has washed her hair in cold water in the basin and my hair looks like I’ve been working part-time in a grease factory. Five days later and they discovered that when they fumigated, they accidentally disconnected the water pipe in the roof that goes to the shower. At least now we can shower. I’m setting aside weekends to work on The Great Mountain to Mountain Safari. It is just way too hectic during the week. Hopefully, the initial huge workload will lessen in time, but I have my doubts. The trick is going to be managing to juggle time, so that I can still keep up with my writing. At the moment I get home between 6.30pm and 7.15pm, eat dinner, watch CSI and then am ready for bed at 8.30pm-9pm. Just been feeling so shattered at night. But last night I managed to stay awake until 9.30pm, so I think I’ll start to build up stamina again. Otherwise, it’s good to be back. I love life here and have good friends. But the way time is flying, before I know it it’ll be time to fly to Cape Town for the Christmas holidays. Yes, we’re flying not driving this time!